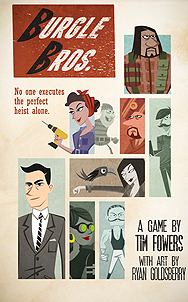 The Burgle Bros. are an elite crew trying to pull off a heist at a highly secure building. Players must work together to crack the safes and escape. Anyone gets caught and it's all over.